We offer entertainment and cultural events in a state-of-the-art recital hall or the beautiful year-round atrium garden. Programs include art classes, baking groups, regular bridge games, and professionally guided exercise programs. Musical entertainment includes classical and jazz – everything from a full orchestra to solo club-style pianists. For those that love to discover the city there are day trips such as summer boat cruises, concerts, plays, monthly shopping trips and fall trips to the country to see the changing colours. We love to celebrate all the holidays and our Christmas dinner party is second to none. Religious services of different denominations as well as weekly hymn sings offer tranquility to residents. Memory-impaired residents have access to The Britonian Club, our life-skills structured activity program that runs 7 days a week. The intention of this program is to promote increased self-confidence and self-awareness through improved socialization skills. Please explore the The Briton House Calendars for monthly events offered. 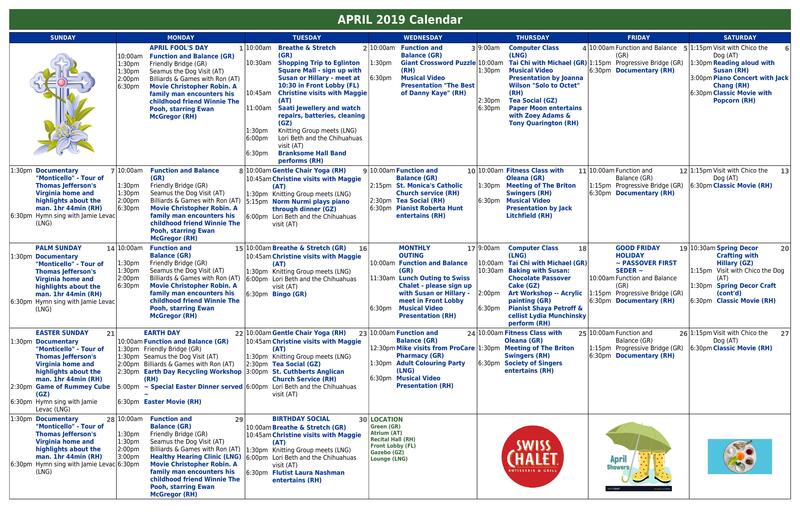 Click Here to view our Monthly Events Calendar. 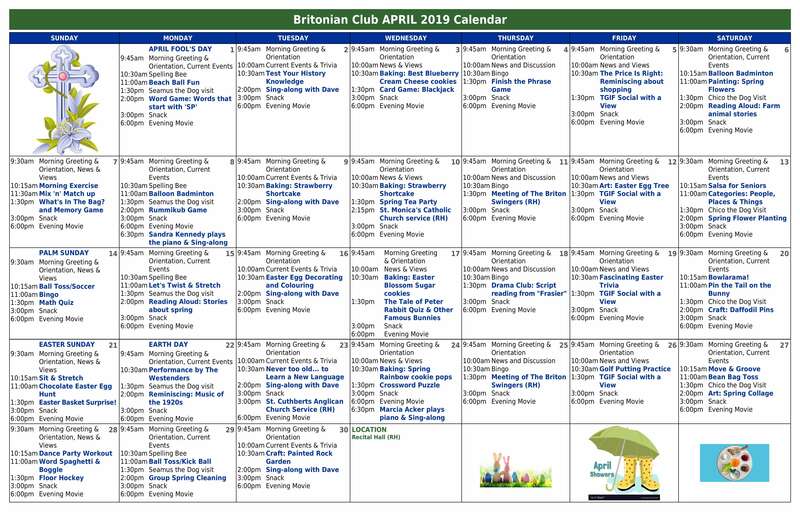 Click Here to view our monthly Britonian Club Events Calendar.